Thanks to Anders for his engaging presentation of his work developing a brand/application/digital identity/platform for his unique “TrollScape” world-building project. Anders has been envisioning this digital project for sometime, step by step imagining different facets of a special digital experience that he hopes to bring to life. “Trollscape” is a gamified experience wherein one in invited to discover the world of trolls in Norway. It is designed with the imagination of a child in mind, but with interactive elements for people of all ages. 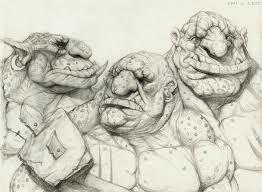 Trollscape will include many possible entry points, including locative storytelling via maps and outdoor discovery, mythology/historiography via discovery of “scientific” journaling, craft creation activities and incentivized games which help grow one’s “expertise” regarding trolls. The project might evolve in a local context (Bergen) as a preliminary phase, but it has a broad appeal in a national context. As different aspects of the overall vision are designed, a gradual scaling can occur. I think our discussion with Anders brought to light the challenge of moving a creative and artistic vision into the realm of implementable reality. We discussed the need for branding, the need for collaboration and funding, and we discussed the ways in which this creative/business-oriented project could dovetail effectively within the academic context of an MA in Digital Culture. One of the most significant aspects of Anders contribution is his focus on interactive design, and especially the way in which a digital experience might refigure our experience with the real (our shared natural environments). This project seeks to help people rediscover nature through storytelling and imagination fueled by digital design. A term that came to the surface during our discussion was “pervasive interaction” -the design will reorient people to the real world. The real world is therefore the key interface (but it is re-discovered via creative digital facilitation). 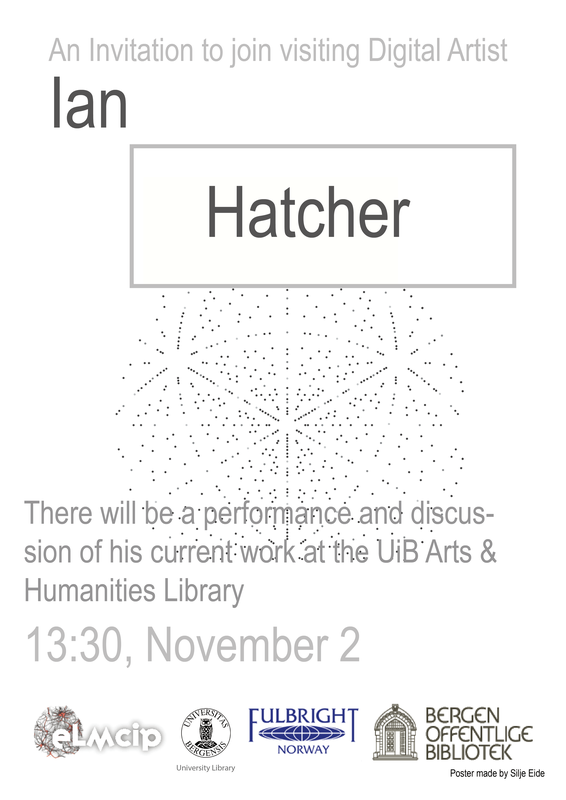 Next week we have some special time set aside to engage with visiting Digital Artist Ian Hatcher. I really look forward to sharing some time with him and all of you. I think you will find that his work, which explores cognition in the context of digital systems, is truly inspiring and compelling. The plan is to meet at the University Library (at the cafe at the entrance). He will give a short performance there of his work, and we can follow up with some pizza and discussion in the upstairs (2nd floor) atrium of the library. The event should last about an hour and a half. Please go directly to the library, and try to get there a bit early (perhaps around 13:20), so I can introduce you as my grad students in the crowd that will be attending. For your blog post this week (due 2/11/17), there will be no assigned reading, but please write a reflection about the form and content of your planned contribution for the e-book collection we are compiling at the end of this semester. In short, you will submit a final project that will be your “chapter” in our journal-like collaboration. Your chapter can ultimately be a traditional academic “white paper”, it can be a hyper-text multi-modal presentation of your research, it can be a digital artifact/website designed to present and engage our readers in your research inquiry. I would like for each of you to describe your plans for what you would like to submit – what it will look like, how you will organize and present your work. Please provide as much detail as you can (i.e. if it is a website, what kinds of pages and sections will you develop? ), and please start to map or outline the work you will need to complete in order to offer a solid and meaningful contribution. You are welcome to take a picture of a mind map for your contribution. ***Please remember, no matter what kind of “artifact” you plan to produce, your work should have a comprehensive Literature Review that reflects the critical/theoretical understanding that informs your research. In two weeks we will be tackling the issue of algorithmic awareness with Victor as our presenter. He will be providing a shared reading for us soon, which I will forward you. You can read Victor’s shared material and blog your reflection about it before class on 9/11/17. See you next Thursday 2/11/17 – remember to go directly to the University Library at 13:20! Ps. 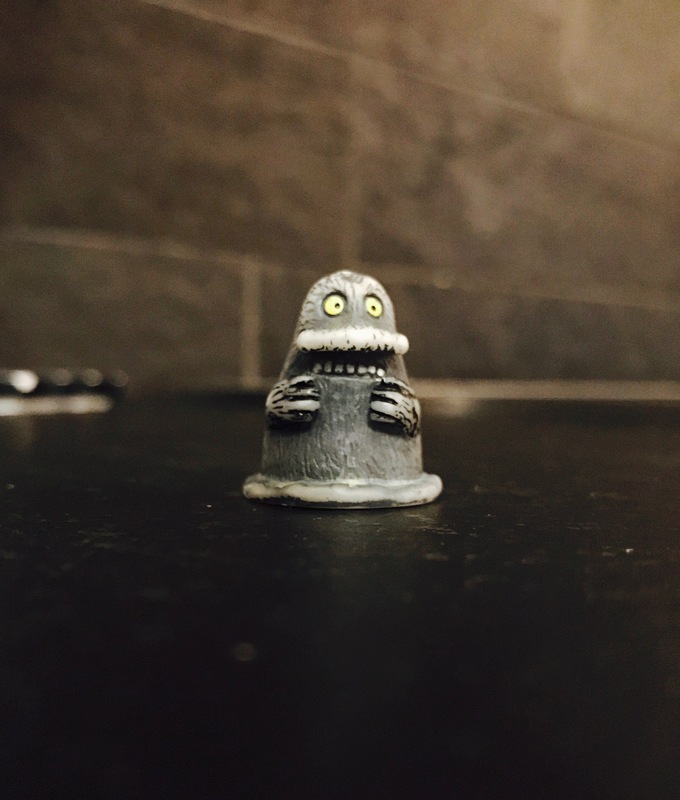 Thanks for teaching me more about the Groke!